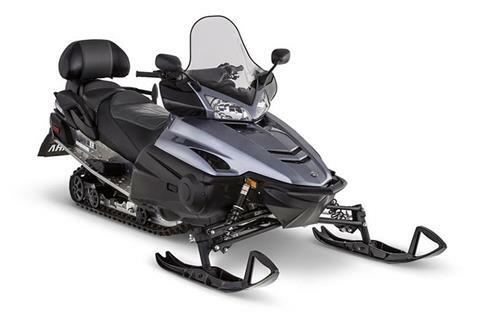 ProComfort-144 rear suspension with adjustable flip-up springs for quick transition from one-up to two-up cruising. STANDARD ELECTRIC START AND REVERSE: Seamless and easy to use electric start delivers instant and hassle free starts, no matter the weather, eliminating the need for an “old-school” pull rope. You’ll also enjoy the convenience of an effective and simple to use reverse system. Simply pull out the right-hand side lever and slide it over and you can quickly and easily back off a trailer, out of a tight spot, or help you turn around on the trail without ever leaving the seat. STANDARD MIRRORS: High mounted, wide-view mirrors provide both a level of convenience and safety. A simple glance gives you a clear view of what is behind you, perfect for when riding in groups. DELUXE KING QUEEN SEAT: Plush two up seating with integrated backrest. Additional passenger comfort includes grab bar wind deflectors and foot rest blocks. 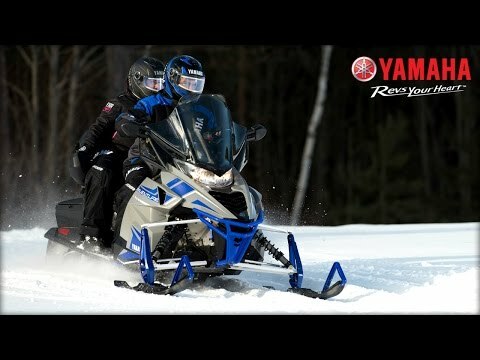 ENGINE BRAKING REDUCTION SYSTEM: Unlike competitive four-stroke powered snowmobile designs, Yamaha utilizes an engine braking reduction system for a “free-wheel” feeling on deceleration. The system allows a small amount of air to flow through the intake system upon throttle release, thereby dramatically reducing the engine braking effect typically association with a four-stroke engine. PRO-COMFORT 144 REAR SUSPENSION: This dual-shock, fully coupled suspension features a simple and effective flip-lever torsion spring adjustment to quickly adapt the suspension for one-up or two-up riding, or for hauling a heavy payload. A pair of 36mm High Pressure Gas (HPG) shocks provides controlled and consistent performance. 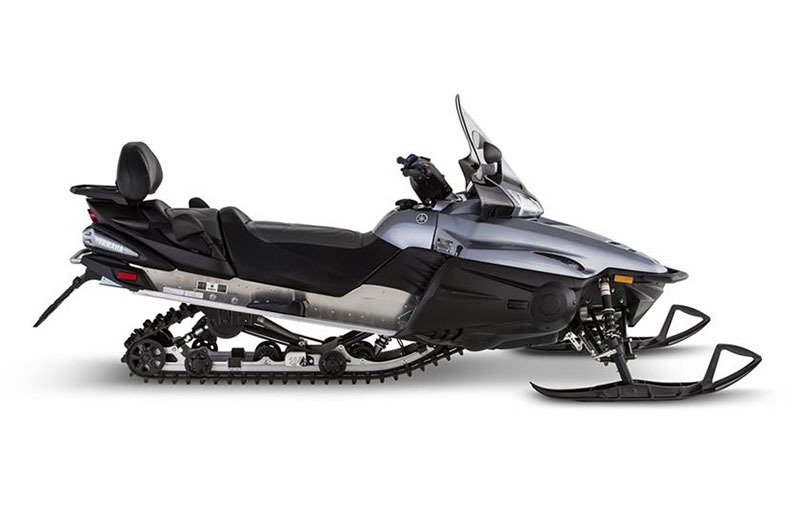 1049 CC GENESIS ENGINE - CARBURETED: Often referred to as the “original” 1049 Genesis, this three-cylinder, carbureted classic has been the foundation of snowmobiling’s 4-stroke revolution and delivers silky smooth power and year-after-year of dependability. STANDARD PASSENGER BACKREST: A wide and plush two-up seat provides comfortable seating for both driver and passenger. A integrated passenger backrest delivers additional support and security for passengers. COMFORT TUNED COIL-OVER SHOCKS: Utilizing many of the same premium suspension components found on other models, the mated, plush coil-over shocks are tuned to deliver a soft, comfortable ride.